For our Competitive Students we use a scientific approach to training. The Next Level. By invitation only. Available to students committed to perform at the Oregon State Championship and U.S. Nationals. For Information on how to join our Elite Team Training please contact our Instructors. Courtesy (Ye Ui). To be thoughtful and considerate of others. 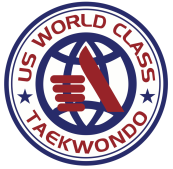 Taekwondo practisers (both students and instructors) should be polite, and show consideration for others.